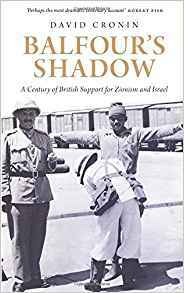 David Cronin, Balfour’s Shadow. A Century of British Support for Zionism and Israel, Pluto 2017. It is beyond doubt that Israel had seen the light of day without the rhetorical support and the firm hand of the British empire, writes David Cronin.”The foundations of Israel were laid in London.” Where the Brits left off, the US took over in their unwavering and blind support of the Jewish state. In nine chapters, the author shows the full support of the United Kingdom in whatever the Israeli government did. In here, Tony Blair was extraordinarily reckless and vicious. The day Tony Blair left office, his pal George W. Bush appointed him “peace envoy” to the Middle East, which was cynical and obscene. Since the days of Balfour, they have been partners in crime and staunch supporters of Zionism. William Hague called it the party’s “unbroken thread.” Perhaps the current British Prime Minister Theresa May will reaffirm this “bond” during the dinner with Benjamin Netanyahu. It’s a low-key celebration between May and Netanyahu. Jeremy Corbyn declined the invitation. The author demonstrates, “Balfour and his peers were fully aware that the pursuit of Zionist objectives endangered the fundamental rights of Palestinians, regardless of the caveats inserted into his declaration.” For the Jews, the BD was a turning point in their history and led to the establishment of Israel, for the Palestinian people, however, it meant dispossession, displacement, exile, the destruction of their society, and it laid the groundwork for the Nakba that is continuing to this day. They became foreigners in their own country. At the time of Balfour, conspiracy theories about Jewish influence and anti-Semitic attitudes were common among parts of the ruling class. Balfour was “an anti-Semite” and did not act benevolently towards the Jewish people, on the contrary, Balfour’s backing of the Zionist settlement movement in Palestine seemed motivated by his desire to “see Europe emptied of Jews,” writes Cronin. The book focuses on the support of the Zionist colonization during British rule between the two World Wars and beyond up to the current political support for the Zionist regime. For the Brits, much was at stake in the Middle East. The region had Oil in abundance, the Suez Canal was strategically important, and Israel could serve as a colonial outpost and a bulwark against barbarism, as Theodor Herzl put it. In its oppression of the Palestinians, the Israeli government often refers to British Mandate law, what so-called administrative detention or collective punishment measures are concerned. Although the US took over, Britain didn’t let go. They supported the country with military hardware and in the field of financial/corporate interests. Up to date, the United Kingdom belongs to Israel’s staunchest supporters. The book presents a thorough examination of the Balfour legacy. Although Cronin presents the facts passionately, it’s still a meticulous study. One can get passionate about the subject if one evaluates what the BD has done to the People of Palestine. This Declaration is a call for repairing the injustice, and Cronin contributed a lot to that. The British role in Israeli Palestine conflict is important to analyse development of Zionism and this book adds to the existing literature.